Join our guest of honor Fran Mainella, the 16th Director of the National Park Service and the first women to lead our national parks, on Thursday February 21 for our signature event of the year in Naples – Wine & Wildlife. 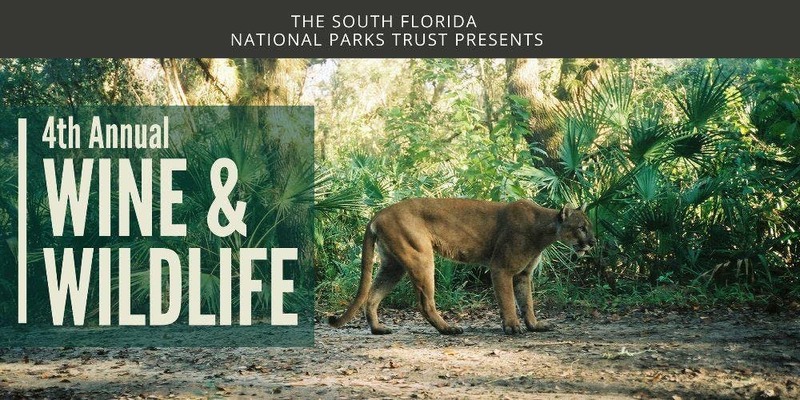 This one-of-a-kind evening combines good wine, great food, and live wildlife in celebration of South Florida’s national parks! Best of all, you’ll have the satisfaction of knowing that your contribution supports our national parks! Learn more about our national parks from the rangers who help protect these special places. Enjoy a special program and a wildlife meet-and-greet with celebrated wildlife biologist Joe Wasilewski. Joe travels the world in search of rare and exotic reptiles but he is best known for his wildlife adventures right here in South Florida, including his knack for catching invasive Burmese pythons in the Everglades. Pair the evening's program with a wonderful spread of hors d'oeuvres and food stations by our presenting sponsor Guest Services and an open wine bar for your enjoyment. Through your generous support, Wine & Wildlife supports the South Florida National Parks Trust and critical programs and projects in Big Cypress National Preserve and Everglades National Park, including the environmental education programs that turn our parks into outdoor classrooms for thousands of South Florida school kids each year. $100 General Admission: Admission to the event and reserved seating at a guest table. Don't miss your chance to get your tickets - they will sell out!